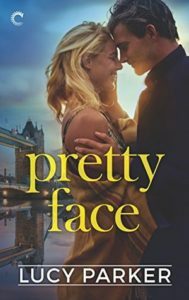 Pretty Face (2017) is another delightful romance by Lucy Parker that takes place in the theater district of London. Lily Lamprey is a young television actress who is known for her luscious curves and breathy voice. She wants to make the jump to the stage, but is hampered by her voice and previous acting experience. That is, until Luc Savage, a successful and notorious director casts her as one of the lead roles in his new play. There is an undeniable and unsurprising spark between the two as soon as they start spending time together, but both are resistant to a relationship. Many people are surprised at Luc’s casting choice and Lily does not want to get a reputation that she sleeps with directors for parts. Luc has just recently been divorced and doesn’t want to provide any more fodder for the tabloids. The two “accidentally” make out a time or two, spend time with each other’s families and friends and really get to know each other. They go out of their way to support each other and really do seem to be a good match. I really enjoyed this book. It’s definitely up there as one of my favorite romances this year, and I always wish that I could find more like it. Lily and Luc are likable and understandable as real people. Luc is sweetly protective of Lily without being overbearing. Parker manages good romantic tension throughout the book as the characters and their relationship grows. I’d definitely recommend this one to any lovers of romance. Share the post "One of my favorites"